A Boston police officer who died suddenly last week was escorted by a police procession on Thursday night past the Brighton District D-14 station where he worked, police said. 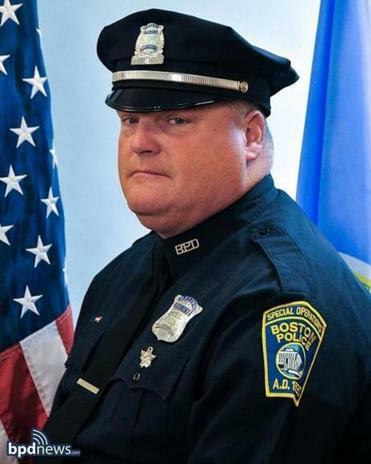 Officer Joseph Lomuscio, of West Roxbury, was a 22-year veteran of the Boston Police Department, according to Officer James Kenneally, a department spokesman. The father of three died while on vacation in Switzerland, according to his obituary. His body was flown into Logan International Airport, and escorted past the station at 301 Washington St., Kenneally said. The destination of the procession was not immediately clear. “Officers there stood and saluted their fallen friend,” Kenneally said. Lomuscio’s funeral will be held on Tuesday at the William J. Gormley Funeral Home in West Roxbury.